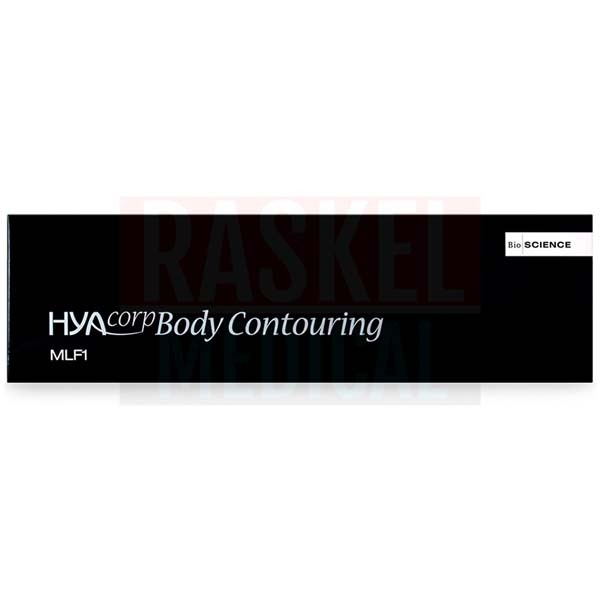 HYAcorp MLF1 is a cosmetic filler that adds volume to body areas other than the face. This product can be used to restore volume in patients afflicted with lipoatrophy, replenish the body’s amount of natural hyaluronic acid, and to treat concave body deformities. This hyaluronic acid-based injectable gel can increase the volume of the buttocks and calves. It involves a single injection to the deep subcutaneous layer. With a thick particle size and an enhanced cross-linking network, the gel can lift areas of the body for six to eight months. This injectable solution provides a natural-looking result. 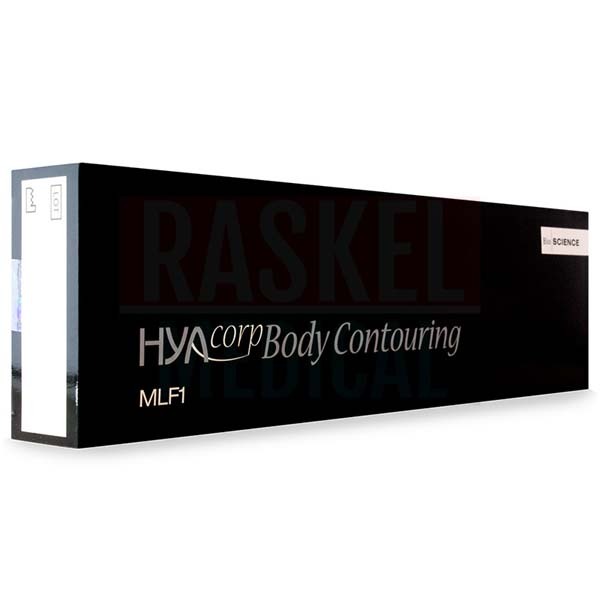 HYAcorp MLF1 is a nontoxic, apyrogenic, homogenous cosmetic filler that helps to increase the volume in buttocks, calves, and concave deformities on the body. It fills the deep subcutaneous layer of the skin with highly purified, 200-350μm hyaluronic acid particles that are sourced from biofermentation. The thick particle size makes it more effective at treating larger areas of the body than fillers focused on facial treatment. This hyaluronic acid is enhanced with a reticulating agent to create a strong cross-linking network so that HYAcorp MLF1 can withstand enzymatic degradation for six to eight months. This single injection can create a highly-moldable addition to the surrounding tissues in a session that lasts for less than an hour. The manufacturer of HYAcorp MLF1 is BioScience. The product originates from Europe. The side effects that may occur are mild bruising, slight discomfort, swelling, and discoloration. These may occur due to the injection technique and the inflammation from the injection of the needle. For patients that express hypersensitivity to hyaluronic acid, they will experience allergic reactions. Other adverse effects can include the migration of the filler material, bacterial infection, chronic inflammatory nodules, and granuloma formation. This filler is suitable for all skin types. It should be delivered to the deep subcutaneous layer of the buttocks, calves, and other body areas that are experiencing concave deformities. A clinical trial conducted in Europe has demonstrated this product to be safe. This product has not received FDA approval. What are the differences between this product and other products in the HYAcorp product range? As it is a body dermal filler, the particle size is thicker than facial cosmetic fillers, including ones in the HYAcorp family. It is designed for maximizing larger volume and viscoelastic pressure in the area of treatment. Before proceeding with the treatment, review the patient’s medical history, hypersensitivities, prescriptions, and other possible contraindications. Disinfect and clean the area of treatment, and ensure the skin has no inflammation. It is permissible to use a local anesthetic to reduce any painful sensation(s) during the treatment. Assemble the syringe and a 27G spinal needle or a thin cannula for the injection. Rotate and secure at the Luer-lock to avoid any leakage. Deliver 100% correction volume. Do not overcorrect. After the injection, massage the area to distribute the gel uniformly. The whole treatment should take an average of 30 to 45 minutes. Let the patient sit for some time to detect any possible blanching. Remind the patient to avoid prolonged exposure to the sun, extreme temperatures, performing strenuous exercises, and putting hard pressure onto the area of treatment 48 hours following the treatment. This product is made from 20 mg/ml of cross-linked hyaluronic acid, 2mg/ml of hyaluronic acid, sodium chloride, and water for injection. This body filler replenishes hyaluronic acid via subcutaneous injections. As hyaluronic acid is naturally found in the body, this ingredient is bioresorbable and reduces the risk of graft rejection. It is understood that the natural concentration of hyaluronic acid in the body declines with age, and this, in turn, contributes to a loss of body shape. For HYAcorp MLF1, the hyaluronic acid is sourced from biological fermentation and is enhanced with reticulating agents to withstand disintegration. HYAcorp MLF1’s particle size of 200–350μm can sustain the product’s endurance in larger areas while maintaining its viscoelasticity. Additionally, the single treatment can reduce cost and time while still providing maximum and natural results. 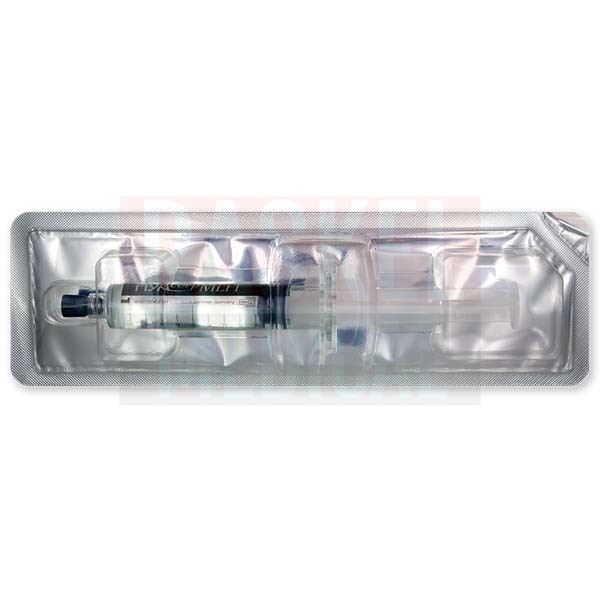 1ml of HYAcorp MLF1 is supplied in a 10ml glass syringe with a Luer-lock. It is meant for a single use. 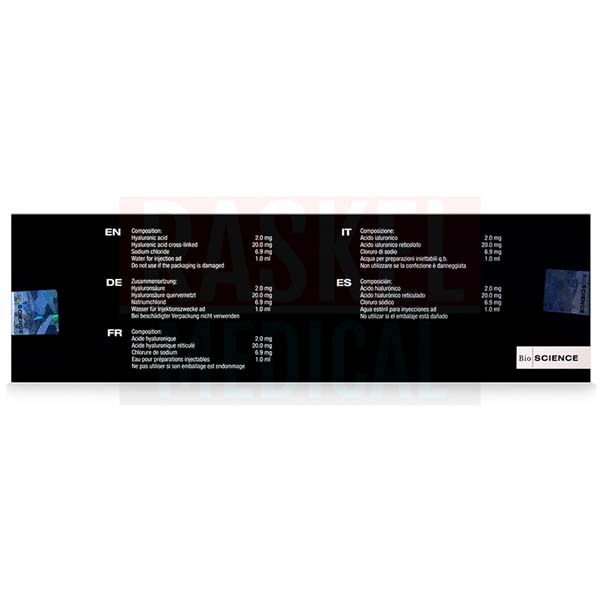 Product leaflet containing ingredient details, precautions, warnings, contraindications, and detailed instructions. The product packaging and label includes manufacturer details, list of ingredients, warnings, and the expiry date. The highly enhanced cross-link process with reticulating agents and purified hyaluronic acid protects HYAcorp MLF1 from enzymatic degradation and potential immediate dissolution. This enables the product to last as long as six to eight months, depending on the patient’s condition. The injectable will gradually dissolve into the neighboring tissues but without provoking any debilitating effects. When not in use, keep the syringe in the box in an environment that has a temperature between 15°C to 25°C. Do not expose it to sunlight, extreme temperatures either hot or cold, and do not freeze. The solution is only applicable on one patient per syringe. Most products may have shelf life of two years or less. Refer to the expiry date stated on the box for clarification. To avoid contamination, it is advisable to not reuse, reconstitute, or store used solution for more than three months.